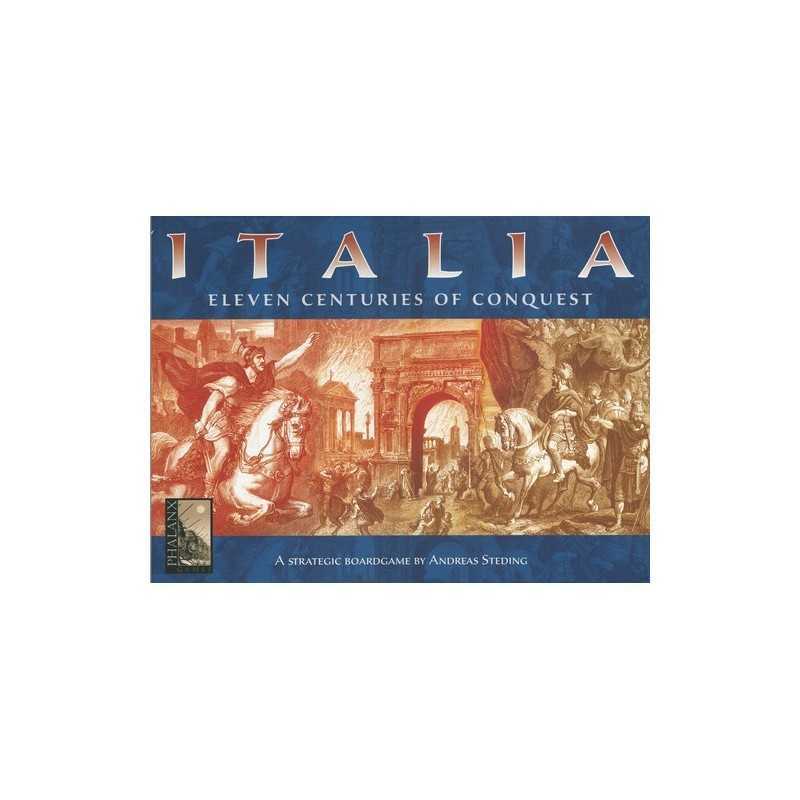 Italia takes us on a journey through 1500 years of Italian history, where the Mediterranean peninsula was invaded countless times by different tribes and people. 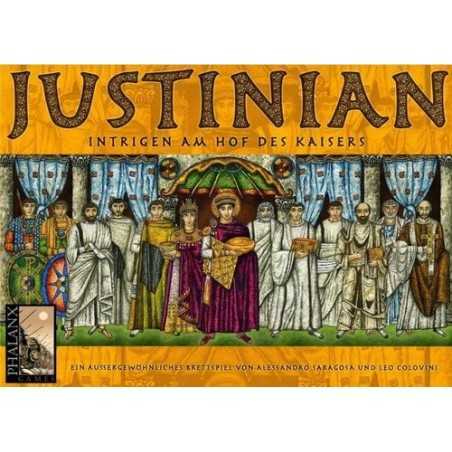 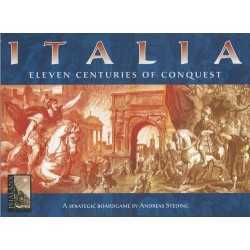 Italia contains two games: Italia I, a 3 player game, which centers around the history of classical Rome B.C. 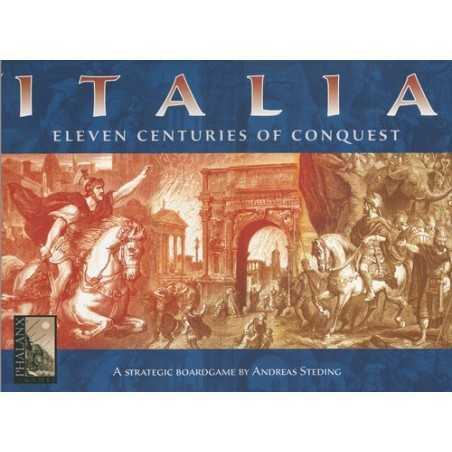 and Italia II, a 4 player game that encompasses the history of Italy from 390 AD to 1100. 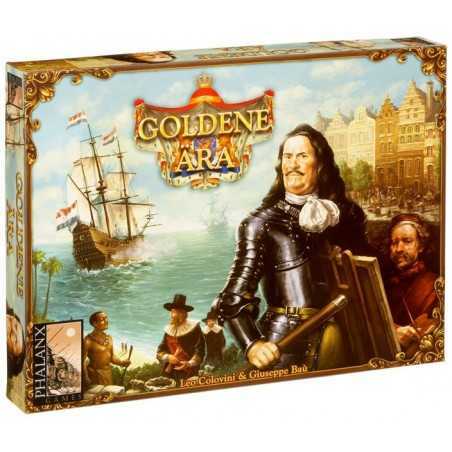 In both games players lead different nations, and with them, pursue their specific goals until they are themselves conquered and usually vanish from face of the earth.